The claims lifecycle is long and complicated. Its complexity multiplies when you factor in the number of new claims a billing manager must submit while simultaneously working rejections. Although claims management is a complicated, time-consuming job, some billing managers have found a way to avoid making claim filing mistakes to help the practice maximize their profits from claims reimbursements. 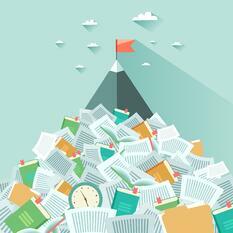 Below are ways successful billing managers avoid claim filing pitfalls. A lot of the common reasons for claim denials can be avoided by implementing one strategy; pulling patient benefits before every appointment. Successful billing managers know that when they, or the front office, pull patient benefits a few days before the patient's appointment, they can reduce claim management errors, give ODs full coverage information, and reduce patient wait time. A clearinghouse solution is a successful biller's secret weapon. With an advanced clearinghouse, your biller can scrub insurance claims to catch coding errors and avoid claim denials. Although you optometric practice may receive more rejections than usual, they are usually easier to fix than a claim denial. When you analyze your performance, you gain information on how you can make better decisions and establish better strategies. Tracking your claims management performance by compiling reports can help you identify the average time it takes for a claim to get paid, prevent time-consuming audits, compare monthly income, and monitor your monthly denial rates. 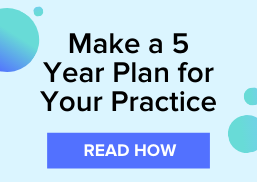 With these performance reports, you and your optometric billing manager can avoid leaving money on the table and earn more from claim reimbursements. For more tips on how you can maximize the payments on claims reimbursements, download The Definitive Guide To Making More Money On Claim Reimbursements.